KARACHI: The current crisis, the Pakistani media industry is facing, took an ugly turn when Jang Group announced to shut down its five newspapers including three eveningers (newspapers being published in the evening), besides the closure of daily Jang’s Faisalabad and Peshawar editions. The move rendered nearly 1000 journalists and media workers associated with these publications jobless. The Group is going to shut down its Karachi-based daily Awam and Daily News (Urdu and English language dailies being published in the evening). Jang Group has also announced to close daily Inqibal, a daily being published by the group from Lahore. The move sent shock waves in the media industry especially among working journalists, who are facing layoffs, pay cuts, non-payment of salaries and long delay in payment of salaries. 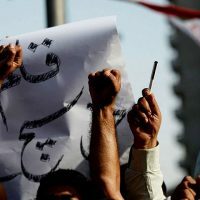 Journalists’ bodies and employees’ unions have strongly reacted to the announcement, with Karachi Union of Journalists-Dastoor (KUJ-D), both faction of KUJ-Buran and APNEC condemning the move. A joint meeting of all groups of KUJ and APNEC has been convened at Karachi Press Club to be held on Monday to deliberate the issue and devise a joint strategy to deal with the crisis threatening the very existence of the media industry. In recent days, many media outlets have close their operations due to serious financial crisis and many media organizations especially TV channels have laid off journalists, besides cutting salaries by up to 35 percent across the board. Many TV channels have closed talk-shows of renowned anchorpersons, citing financial crunch and other issues. Subsequently, the anchorpersons and their teams were fired. Many government critics accuse the PTI-led government of being instrumental in triggering the present crisis by stopping outstanding dues of media houses under the head of government’s advertisements. They said that the government purposeful aggravated the crisis by stopping the dues. Even they see government’s hands in retrenchment of the senior anchorpersons, adding that almost all the anchorperson whose programme the TV channels closed were known critics of government and establishment. Today a protest will be held outside Karachi Press Club by media workers and journalists against layoffs and non-payment of salaries, besides the Jang Group’s move to close its publications.